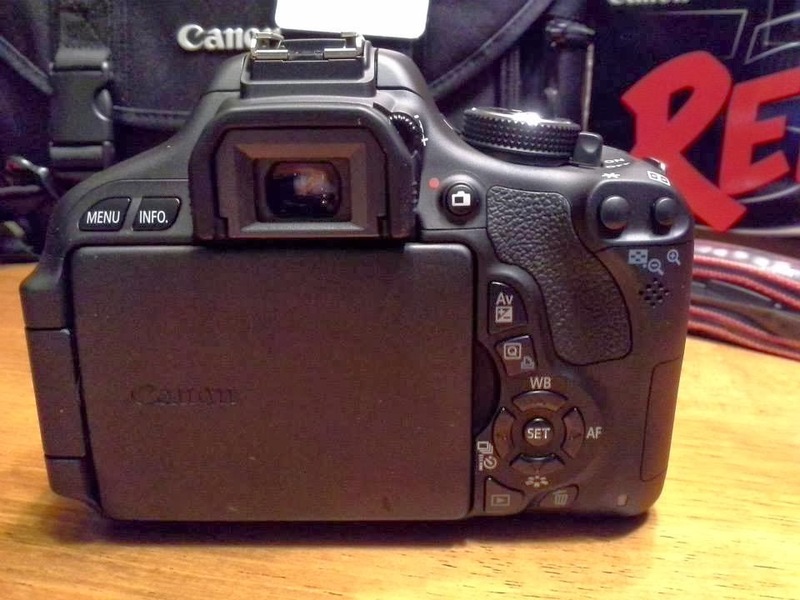 My Sweet Haven: My new DSLR camera! I have spent the last two months learning the basics of photography. I must say I am enjoying it a lot. I am not sure why but when my cheap Canon point and shoot died on me, I thought I’d like to know how to shoot beyond the Auto Mode setting. Perhaps to justify my desire to get a pricier DSLR as my new camera, lol! I didn’t want to spend tons of money on an equipment that I wouldn’t be able to use to its fullest potential. That’s just me though. I mean there’s absolutely nothing wrong with shooting in Auto but my reasoning was I can get that feature on a less than a $300 dollar digital camera, so why spend $1000 or more on a DSLR and camera accessories? So basically, that’s what fueled my interest to learn about photography lately. 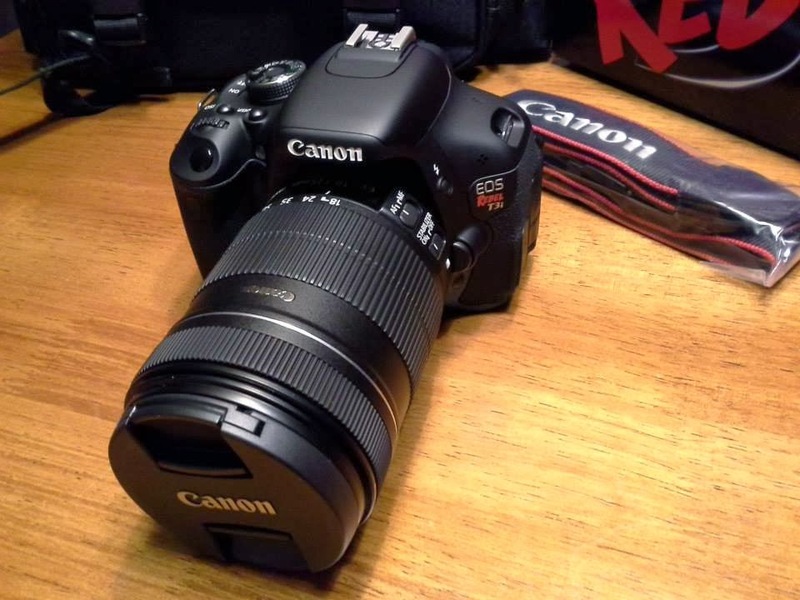 After doing my research, I have decided that the best entry-level DSLR for beginners like me would be a Canon EOS Rebel T3i. I’m sure there are other wonderful DSLRs out there but I’ve always liked Canon and T3i has features that I have been looking for in my new camera like the vari-angle LCD for low and high angle shots, great video capability, ease of use and the feel and weight of the equipment on my hands. Now the next question was did I have the funds to buy one right away? The simple answer was "No!" LOL! So I have been on a spend less, save more mission, so to speak, while I immersed myself in understanding about Aperture, Shutter Speed and ISO and how these three important elements work together to create a good exposure in your photos. 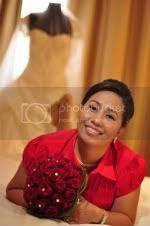 But an angel came my way in the form of my wonderful hubby and offered to get me my first DSLR as a Valentine’s gift. Phew! That made everything a whole lot easier, doesn’t it, lol! 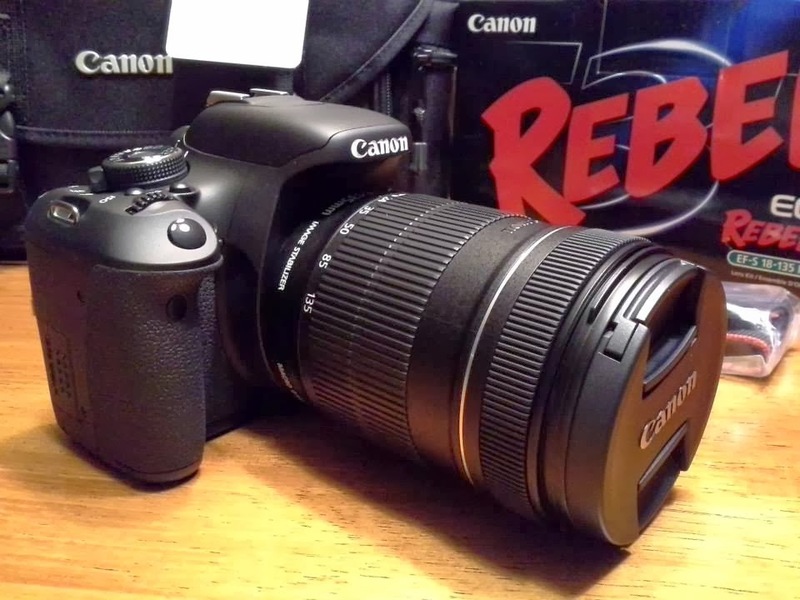 So I ordered one in a heartbeat and lo and behold, I now own a nice DSLR. Yay! I am loving it so far. It’s quite bulky than what I was used to carry but there’s just some kind of a professional feel to it when I’m holding it, lol! 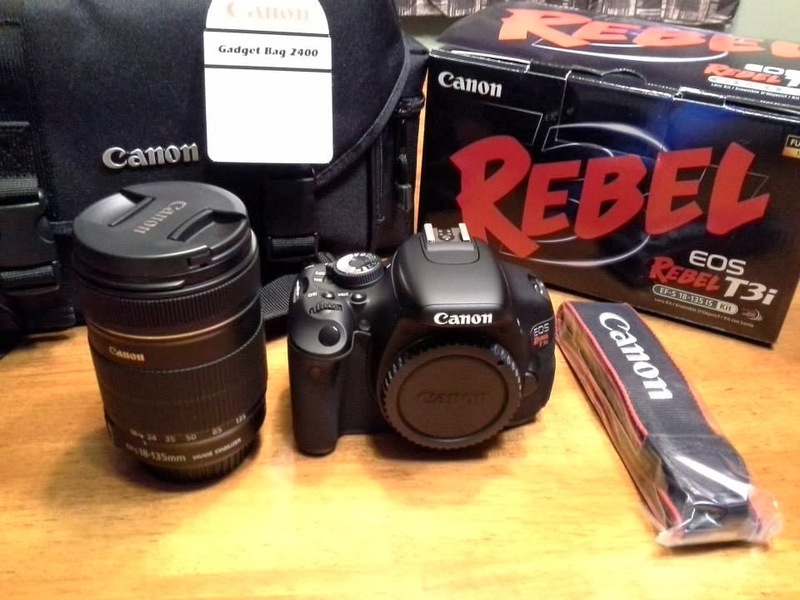 I got mine with the 18-135mm lens kit. 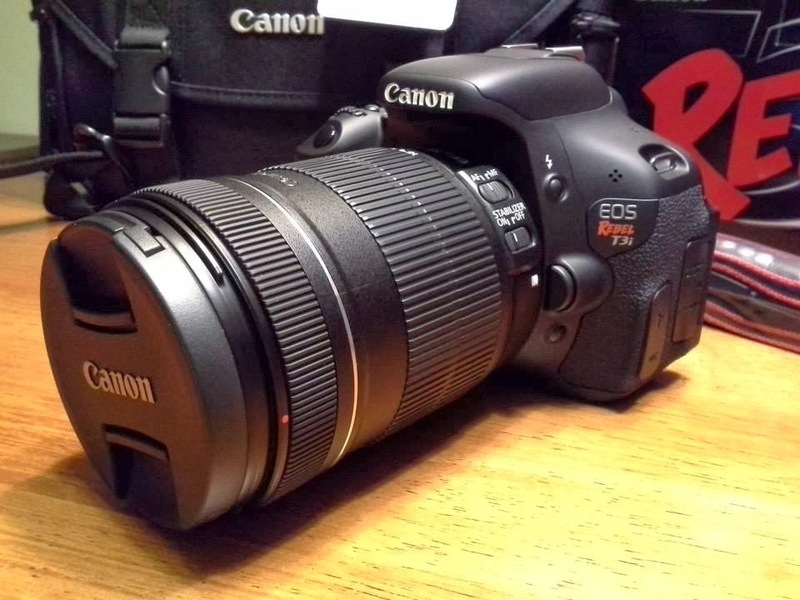 It’s a couple of hundred bucks more than the 18-55mm lens kit which I originally wanted to get, but I love the ability to be able to zoom in on my subjects so I think this range would be a perfect walk-around lens for me for now. However, I’d love to get my hands on a “nifty fifty” (50mm f1.8) prime lens so that would definitely be my next lens purchase. I've been taking my new camera with me to work and I’ve practiced with it on my lunch breaks. I simply lurrvvv it! I know I have a lot more to learn about taking great photos but I know that with the right gear and desire to learn and practice, I would be able to take much better quality, more professional looking photos in the future. I am excited with my new-found hobby!!! WOW! love it, girl! my daughter has one because she has Photography subject in her Mass Communication course, but i can't seem to learn to use it, lol!